Redman Vineyard is located immediately west of Ribbon Ridge Road at the intersection with Calkins Lane. 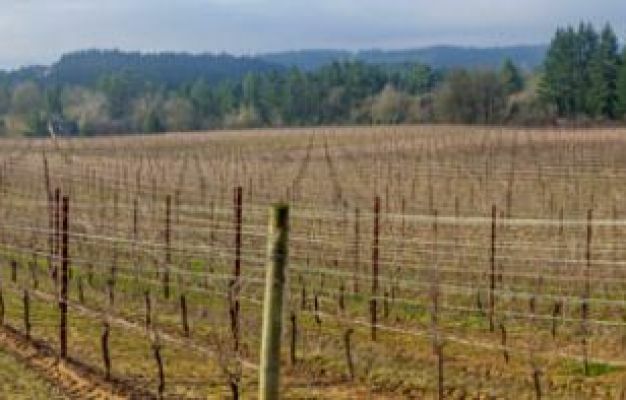 This Oregon vineyard sits essentially at the crown of Ribbon Ridge proper with a gentle 5% southern slope. The gentle undulating ground presents a desirable slope for a vineyard. Elevation is 450 to 550 feet above sea level. Our 30 acres allows maximum sun exposure with warm days, cool evenings and coastal breezes. 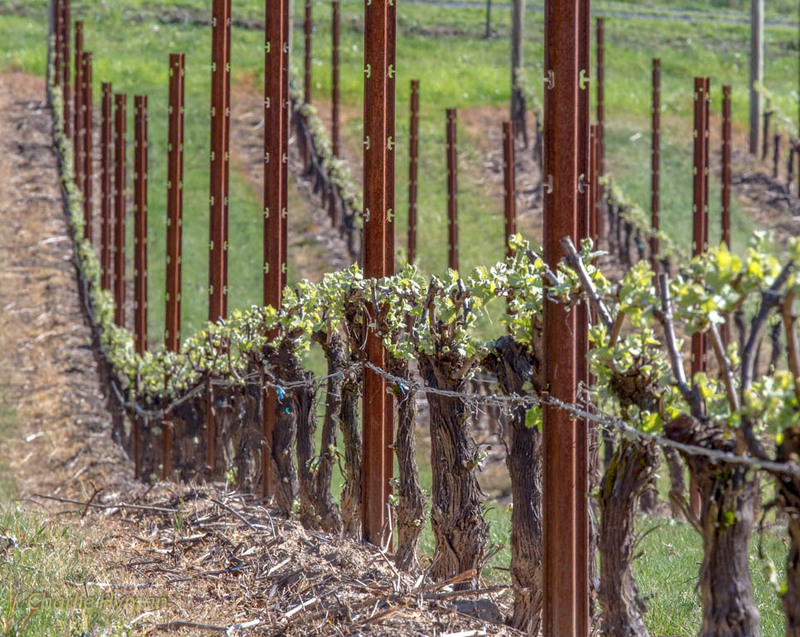 Our soils are all sedimentary parent materials and of appropriate depth for planting vines. The Redman Vineyard is classified as Willakenzie. Willakenzie soil classification is being broken into at least seven distinct sub-varieties: Bellpin, Dupee, Goodin, Panther, Rickreall, Sitton and Wellsdale. Our site demonstrates just how variable Willakenzie can be. Add to the soil history an orchard of Hazelnut Trees and a forest of tall firs and oak trees. 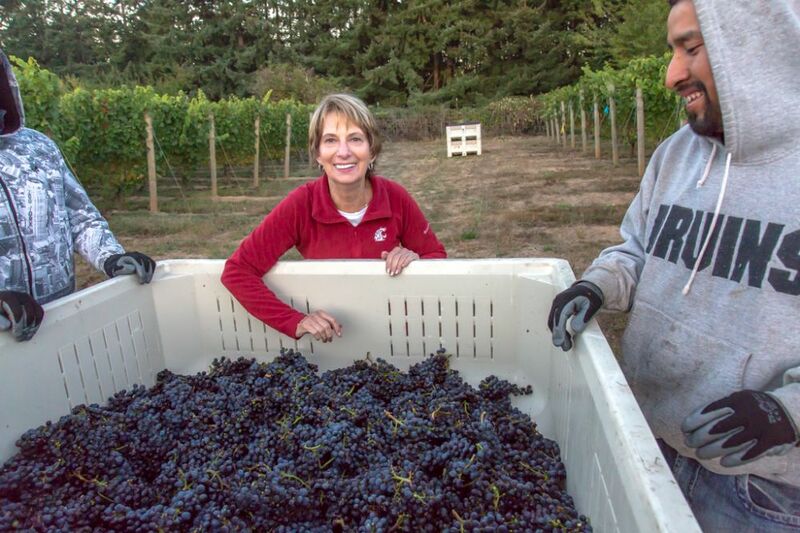 We are excited to discover the nuance our soil will bring to our Pinot Noir and to your palate. 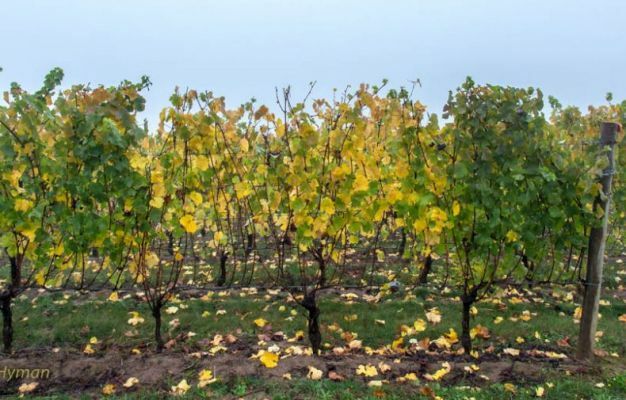 In October 2004, hazelnuts were harvested and 1,313 hazel nut trees were pulled out and burned to make way for the Redman Vineyard. For us, it was a rejuvenation “out with the old and in with the new”. The hazelnut trees were far past their prime of production. Pesticides had been used to grow the nuts, not one potato bug, ladybug, or spider could be found. We knew Mother Nature would be delighted with our efforts. The cover crop, sun and rain restored the true richness of Willakenzie soil. In June, 2005, we cut down the cover crop, disked and tilled the crop back into the earth and prepared the soil for our grape plants. In September 2005, our Vineyard Managers; Results Partners ~ Matt Novak and Luke Pedotti and their outstanding crew lined up over 10,000 “pencil rods”. In mid November our plants arrived, all Pinot Noir: 4,670 vines of clones 777; 2,335 vines on 33-09 root stock and 2,335 vines on 44-53 root stock. 2,725 Pommard on 44-53 root stock. Lastly, 3,115 vines of the clone 667 on 33-09 root stock for a total of 10,510 plants. The 33-09 root stock has the most vigorous roots that travel deep into the soil for water and nutrients. Plants with this root stock are planted on the top half of the “rolling waves”. The 44-53 is a little less vigorous and planted on the bottom half of the “rolling waves”. This system allows the plants to ripen all at the same time. Why call it the “rolling waves”? Look at the wave action, our vineyard was the bottom of the ocean 15 million years ago. On a November, 2005 morning, we arrived with a crew of 15 workers at dawn, a glorious sunrise matched by an incredible experience. We planned on participating in the planting until we watched this working human planting machine! Two Gators delivering the marked plants to the correct planting area. Three men distributing the plants to the correct rows. Three men boring the plant holes in the dirt. Seven men planting the new Redman Vineyard plants. Two Gringo’s ~ “Bill and Cathy”, picking up empty pots. This human planting machine planted over 2,000 plants per hour. We started at 7:00 AM and done with everything by 1:00 PM! The best part about this incredible day ~ we did it again December 2006 with 14,973 vines. We planted slightly less than 10 acres with: 224 vines of clone 777 with 33-09 root stock. and 121 vines with 44-53 root stock. 263 vines of clone 667 with 33-09 root stock. 1,395 vines of the Pommard with 44-53 root stock and 1,400 vines with the 33-09 root stock ~ can you tell the Pommard is the “work horse” clone! We wanted a menu of clones, we have the 3,110 vines of the 115 clone with 101-14 root stock and 2,240 vines with the 33-09 root stock. Add 3,110 vines of the clone 114 with the 101-14 root stock PLUS 3,110 vines of Chardonnay clone 76 with the 101-14 root stock. The 101-14 root stock is the least vigorous and planted in the flat land area. 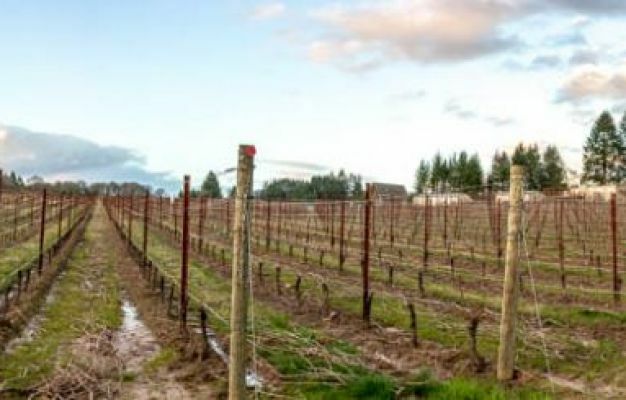 Redman Vineyard is laid out in 4 blocks; each block is named after our Grandchildren. Zachary Block is the most north block. Alexander Block is directly west of the barn. Connor Block is directly west of the crush pad and winery and the Caitlyn Block is the most southern block. The Caitlyn Block receives the most sun hours, and on November 27, 2007, we planted an additional 93 vines of Chardonnay, 1,560 vines Pinot Blanc, 1,560 vines Arneis and an additional 3,181 vines of Pinot Noir. Redman Vineyard has successfully passed all requirements and is LIVE certified and has received the right to use the Salmon-Safe logo on the commercial label for certified grapes. 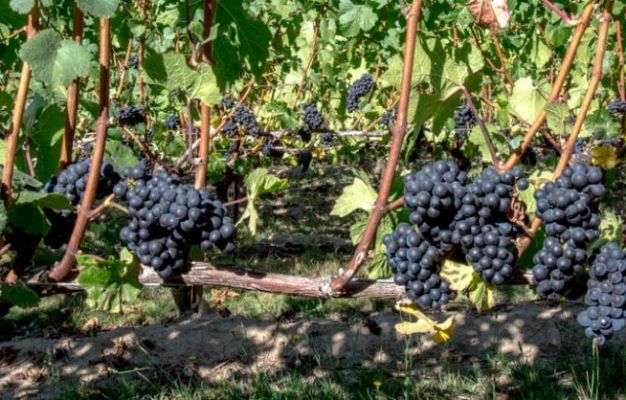 Low Input Viticulture and Enology, Inc. is a program providing vineyards with official recognition for agricultural practices that are modeled after international standards of Integrated Production. We are committed to this program and have continued to enhance our sustainable farming practices. 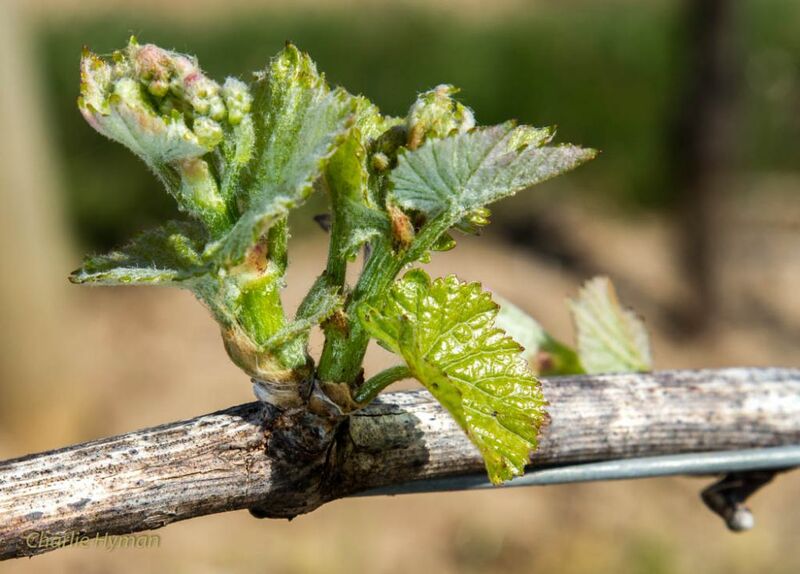 Redman Vineyard is Certified Sustainable. We invite you to take a relaxing moment, taste our wine and enjoy Redman Vineyard and Winery. 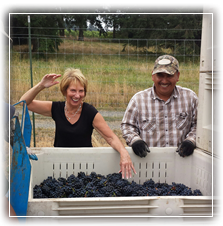 Join us as we Pursue Our Passion, Redman Wines!